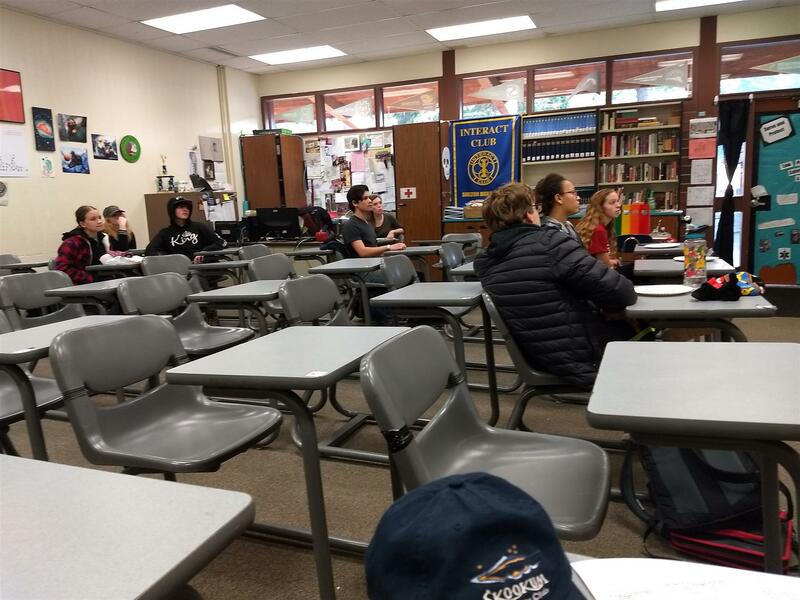 SHS Interact is becoming a vibrant club with very enthusiastic students and its advisor, Sarah Jacobs. 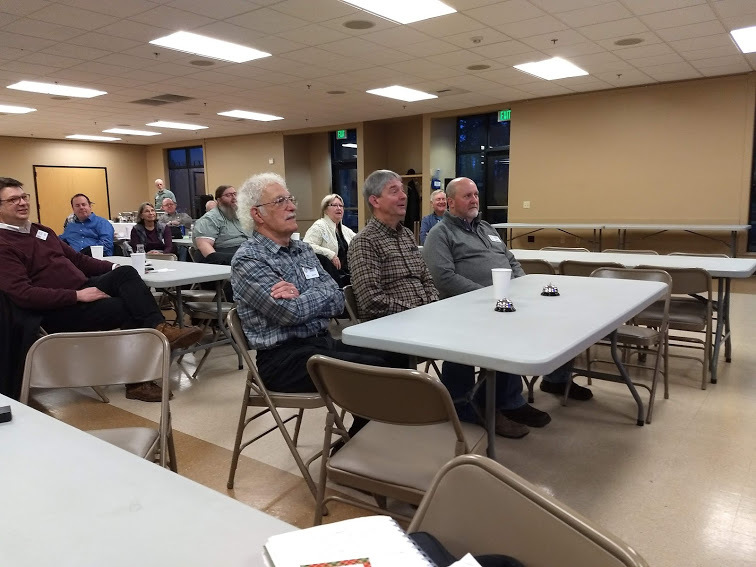 They completed the Westside Pizza fund raiser and are now looking at activities to accomplish in January including UpWard Bound with Evergreen College students. They are very interested in being engaged with the local Rotary clubs. 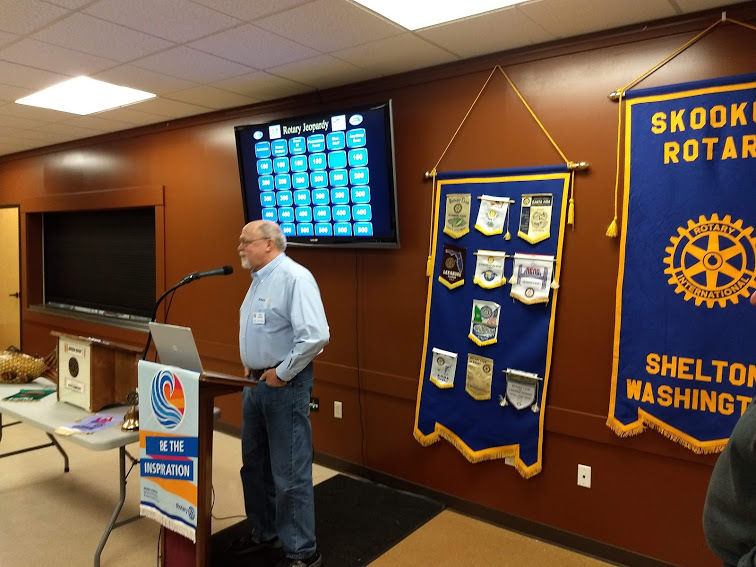 Bob Ferguson presented to our club November 17th. His office works to protect Washington citizens as well as legally representing state government agencies.He talked about electronic fraud and the opioid crisis, two issues his agency it taking on. Thank you Bob Ferguson! Our club recognized Bob Miller for his contributions to The Rotary Foundation. To earn a Paul Harris +5, Bob has contributed $6,000 to the Foundation. Congratulations Bob! 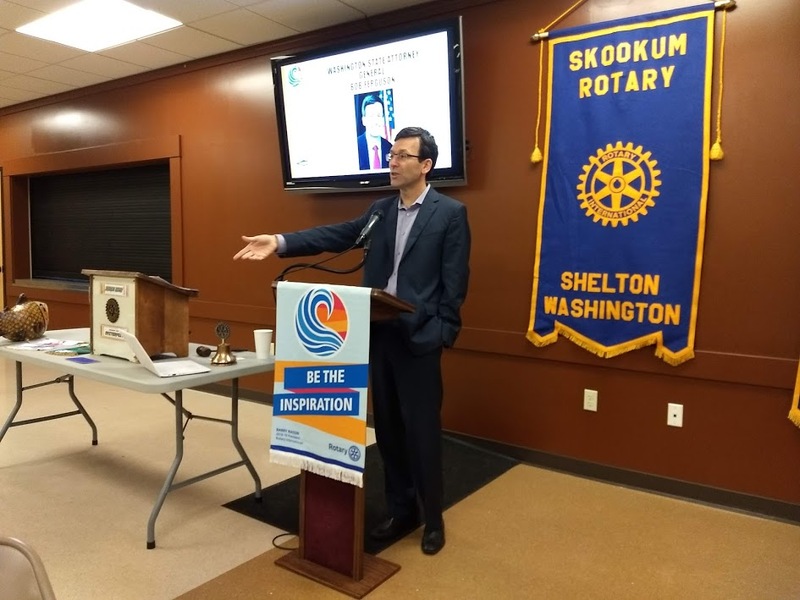 Skookum Rotarians enjoyed another Rotary Jeopardy game show with Mike Barnard stepping in for Alex Trebek. Our jeopardy game includes Rotary trivia questions and normally money collected is contributed to the Rotary Foundation. From left to right: Bill Busacca, Bob Miller and Marty Crow were our 2018 Jeopardy contestants.